Hi, I'm here today. 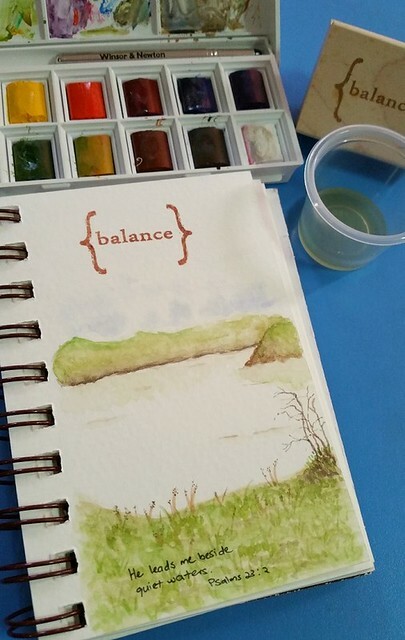 Day 3 of my "One Watercolor A Day" project. Today is about balance. Many a times we find ourselves off balance. Either we work too hard and had little time with ourselves or our loved ones. Or we laze too much. So today I want to remind myself to maintain balance. And the first picture that comes to mind about balance is Nature! And its so important to maintain a balance in nature. If not, there will be negative impact in the environment. This applies to us too. Sickness and stress result if we load too much work and burden on ourselves. So let's all be reminded to maintain balance. I love nature. It just reminds me of my God. And whenever I'm stressed or upset over stuff, looking at nature never fails to perk me up. So I drew this piece, inspired by a picture I saw in a book. Hope you like my watercolor sharing. Have fun.